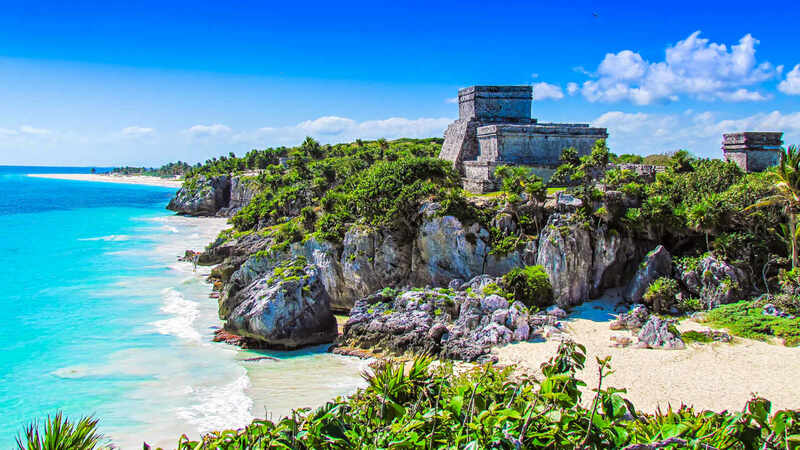 Tulum y Xel-Há: Culture and Adventure, two different environments. Round trip TRANSPORTATION by Bus with Air Conditioning. ENTRANCE to the archaeological site of TULUM with certified bilingual guide. BUFET of snacks and snacks. UNLIMITED BEVERAGES (National Free Bar). LOCKER, TOWEL and LIFE VEST. FLOATING RIMS for the river and inlet. AQUATIC ACTIVITIES in river and creek. ROUTE in gardens and trails through the jungle. Photographs and Video, is purchased directly in the Park. Activities options such as Swimming with Dolphins, Manaties, Encounter with Rays, etc., are reserved directly in the Park. Juniors / Minors are considered as long as their height is not greater than 1.10 meters (in some cases it will be necessary to present identification (passport, school credential, birth certificate, etc.). Children under or equal to 4 years, your admission is free. Wear comfortable beach clothes, bring a change of extra clothes and swimsuit. The sunscreen must be free of chemicals to be used in the Park. If it contains any of the following ingredients, it can not be used within the Park: Benzophenone, Ethylhexila, Homosalate, Octyl methoxycinnamate, Octyl salicylate, Octinoxate, Oxybenzone, Butyl methoxydibenzoylmethane. We take the protection of the environment and marine fauna very seriously. The Adventure is in Tulum and Xel-Ha! Live it to Believe it! $ 85.00 Juniors 5 - 10 Years.